As the weather changes, chai is my favorite way to warm up. 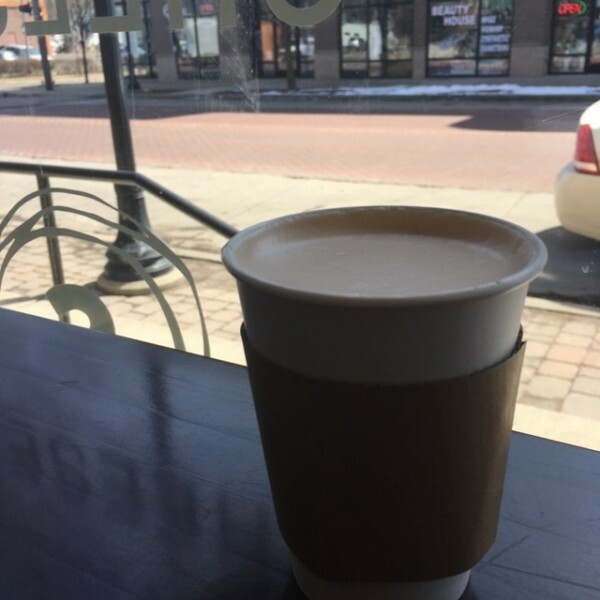 Here are my three favorite places to get chai in Grand Rapids. It’s official – the seasons have changed. We are well into fall. In fact, we’ve had a taste of winter these past few days. For me, the ultimate comfort and way to warm up is a hot cup of chai. Inhaling the sweet aroma while watching snowflakes fall through the window is a wonderful way to pass time. Chai is an Indian tea made with milk and sugar and seasoned with spices. The masala chai I grew up drinking is black tea seasoned with a blend of cinnamon, ginger, cloves, cardamom, Chinese star fennel and nutmeg, and sweetened with sugar. Growing up, my Dad made it for us each morning. On the weekends, we had another cup in the afternoon, and a final one at night before going to bed. No matter how late it was or when we got home, a cup of tea at night for me means relaxation, reflecting on the day that passed and getting ready to go to sleep. It’s the ideal way to unwind. Here are my three favorite places of late to get chai. I also look for places with ambiance and give a café bonus points for the perfect scone or snack to accompany my beverage. 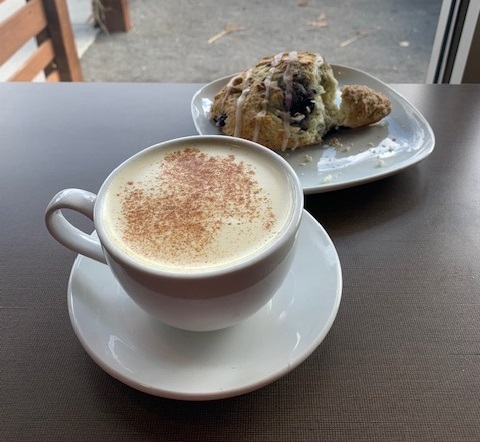 I recently ordered a Golden Chai from Lucy’s in the Creston neighborhood. Lucy’s Golden Chai is made of milk, chai mix, vanilla syrup and turmeric. I love how the cup is topped with cinnamon and sugar, giving it a beautiful appearance. My perfect cup of chai is sweet, but not too sweet. That way, I can still enjoy the indulgent blueberry scone I ordered to accompany the beverage without feeling too guilty. Lucy's is located at 1747 Plainfield Avenue NE. 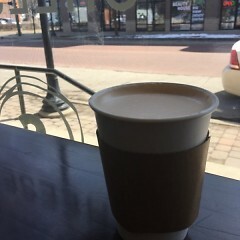 With Squibb just down the street from my office on Wealthy Street, I’m a frequent sipper of the chai latte off the menu. The first sip is always my favorite. It’s foamy on the top and you get a taste of the blend of spices. When I am looking for an afternoon treat, this chai will do the trick. I love finding a spot on a stool and looking out at Wealthy Street, watching the people and cars go by. Squibb is at 955 Wealthy St. SE. I ordered a chai latte off the menu on a Wednesday afternoon in November. The drink was seasoned well and once again, not too sweet. 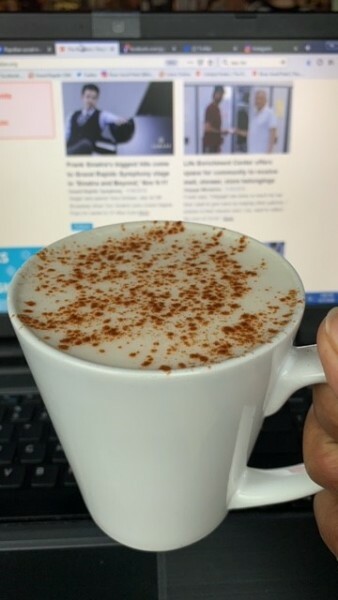 It has a mix of classic spices, is combined with steamed milk and then topped with cinnamon. For some added sweetness, I ordered a chocolate scone on the side. Roots Brew Shop is at 600 7th St. NW. If you've found a great cup of chai in Grand Rapids, let me know where to go next.